Every new initiative taken for the betterment of people or for the society at large, with enough time will yield results that probably cannot be limited to only what can be seen as the tangible outcome from it. One such initiative is the starting of the entrepreneurship cell at the Manipal University, Jaipur. Some tangible results along with some intangible ones, this group now has amounted to a group of 500 students. Read more to see how the plant has grown, from the seeds they sowed a year ago! The students of Manipal University Jaipur started entrepreneurship cell almost one year ago. They created it as a platform for exchange of ideas, thoughts and plans relating to entrepreneurship. Soon after beginning they went to participate in the National Entrepreneurship Challenge in IIT Mumbai and got thrilled to see the gusto of the youth towards entrepreneurship. They shared their memories with their batchmates and soon took up the task of building a culture of entrepreneurship. Now they have spent one year together on this platform. This year has resulted in transformation of the culture around. Being the convener of this entrepreneurship cell, The elected body of this voluntary group performed with amazing eclat. The president of this student club Mr. Shubham Agarwal along with the team would work passionately to promote entrepreneurship across the entire university. I have witnessed amazing enthusiasm, zeal and energy among the youth for the pursuit of some innovative ventures. Now more than 500 students are members of this voluntary club. 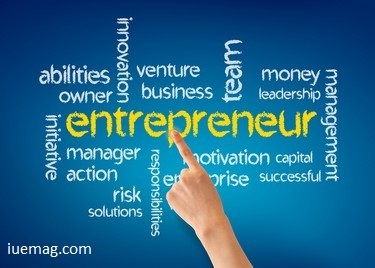 Most of the students are now thinking about entrepreneurship as a career choice. Most of the students are now planning to give a shape to their business idea. Three StartUps have already started and many more are in the process. The students use their spare time to brainstorm on innovative ideas and plan out creative business ventures. Whenever they have time, they prepare their business plans, undertake market surveys and visit technology festivals to identify latest technologies in their field. Sundays are no more holidays. Every Sunday brings new agendas. There are general meetings, talks by young entrepreneurs and visits to entrepreneurial ventures. There are institutional visits to give first hand insights into the working of institutions. When students visited Jaipur Foot and Jaipur Rugs they returned back with ideas about what can be done to improve the working of the institutions. When they interacted with the executives of BSE and SEBI they had ideas about working of stock markets and other tools of modern day capital markets. Today in a very short span of time, the Entrepreneurship Cell has created a platform where the students discuss about their business plans, ideas and innovations. Mr. Videep is planning an innovative E-Commerce company, which is different from the existing players. Mr. Anshul Pagaria is planning an innovative technology company for preparing machines and equipements to solve the food preservation and other issues of the country. He is exploring the food technology industry. Mr. Hansraj is planning to help patients and doctors through an App so that they can find it more convenient to interact and ultimately the patient is able to take quicker help from the best Doctors available worldwide. Mr. Manan Issar and his friends have just launched Piltover Technologies to create innovative technologies for service of mankind. Mr. Shubham Agarwal and his friends have just launched an online market place for sale / resale of domain names, websites and other such new products. Mr. Anant Raj is about to launch a StartUp to prepare image management solutions and will offer designer T-Shirts and apparels to create professional image for the institutions and organizations. Mr. Phoolchand who is the editor of the magazine of the Entrepreneurship Cell is planning a venture to share and spread news and literary contents. I can go on sharing their innovative ideas, In short, every-one is innovative, and everyone has ideas that can change the future. What prevents them is the current regulatory and cumbersome systems and procedures. What surprises them is inability of government to reduce bureaucracy. When an entrepreneur invests money, takes risks and initiates to do something for the benefit of society, why should government department play the role of speedbreakers (and sometimes even worse)? When entrepreneurs come forward to create jobs, create opportunities, and create innovations, should the regulatory framework be more important or entrepreneurial pursuits? A naïve entrepreneur is so much burdened with compliances and legal requirements, that he would forget to concentrate on innovations and would spend all energies and resources in following legal experts (because laws are so lengthy and complex, it is next to impossible for an ordinary person to understand them and follow them) so that nothing goes wrong on any legal front. The one year with the entrepreneurship cell has enabled me to understand that the youth of India are entrepreneurial. It is our own sustained efforts that has converted them to “clerks” or “employees” and it is our own government’s failure to create an enabling framework for entrepreneurs that is responsible for lack of entrepreneurship. I wish that every institution should have an entrepreneurial cell and every government should reduce the bureaucracy, regulatory knuckles and business laws to bare minimum to enable business to thrive. If each entrepreneurship cell is sponsored by one financial institution, we can witness a new entrepreneurial culture in our country. Any facts, figures or references stated here are made by the author & don't reflect the endorsement of iU at all times unless otherwise drafted by official staff at iU. This article was first published here on 5th November 2015.